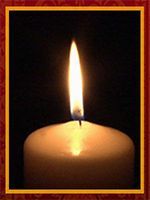 Virginia S. Brinser, 87, of Brethren Village, passed away Sunday, August 1, 2010. Born in Leola, she was the daughter of the late Claude R. and Dorothy Frey Stauffer. She was the wife of Jack W. Brinser. Virginia was a member of First United Methodist Church, Lancaster since age 11. She was very active in the church taking part in the United Methodist Women, the Appenzeller Circle, and Co-Chairperson of the Food Bank through FUM. She worked as a purchasing agent for the former Lancaster Osteopathic Hospital, and was a member of the Guild of Lancaster Osteopathic Hospital, and worked in the gift shop. She was an active volunteer at Brethren Village, including working in the gift shop, the Store of Brethren Village, and calling Bingo in several locations. She was also a member of the American Business Women’s Association, A.A.R.P., and the League of Women Voters. An avid reader, she also enjoyed stamp collecting. In addition to her husband, she is survived by: a son, Bruce A. Brinser of Essex, MD; 2 daughters, Carol R. Brinser of King of Prussia, Anne Louise Brinser of Willingboro, NJ; a granddaughter, Mariel Brinser of Willingboro, NJ; 2 sisters, Barbara S. McElfish of Visalia, CA and Joan S. Sowers of Cornwall Manor.